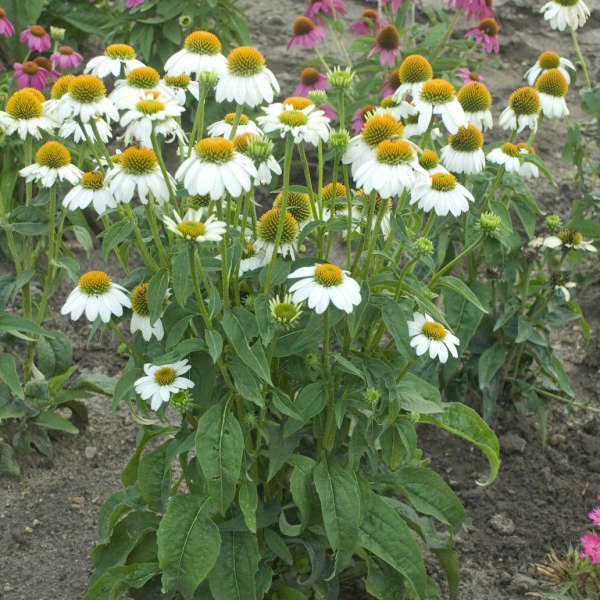 Like its bright magenta pink counterpart 'PowWow Wild Berry', this new seed selection from PanAm Seed Co. also performed impressively in our trials. 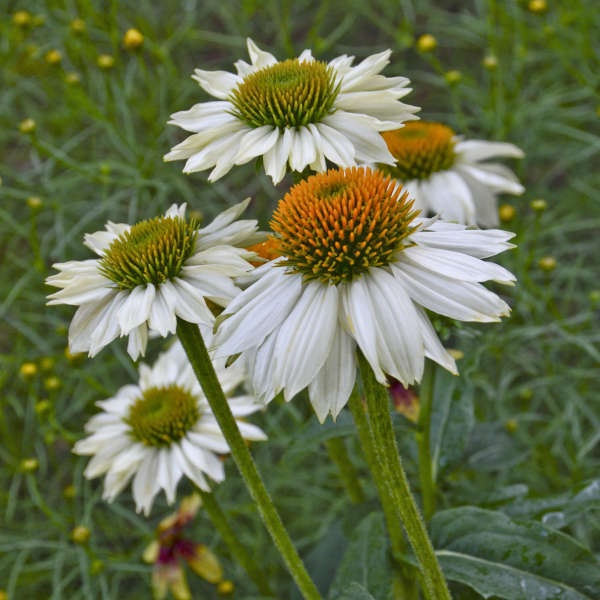 Pure white flowers with a golden yellow cone measured 3-4” across with wide, overlapping, reflexed petals. 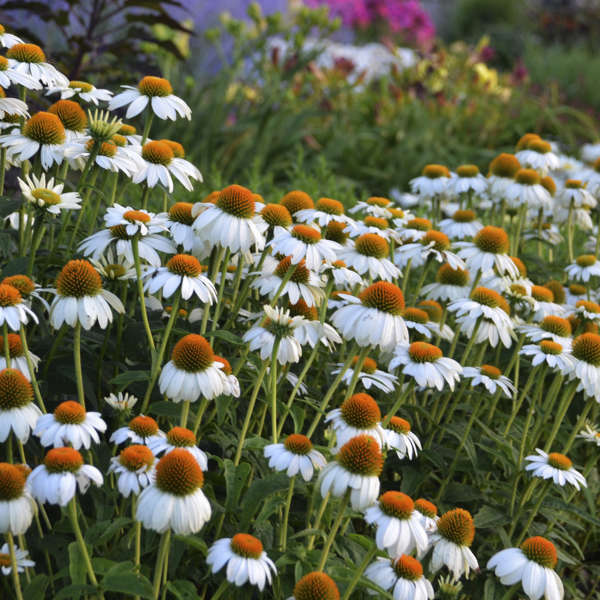 From early through late summer, the flowers are produced prolifically on stiff, well-branched stems. 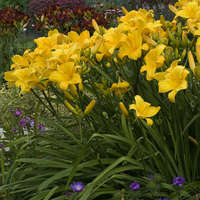 More branches result in more flowers per plant and a showier display in the landscape. 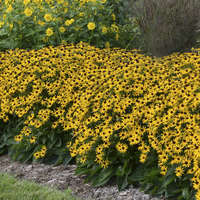 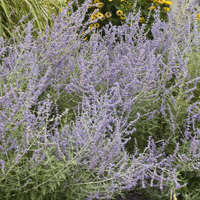 This first year flowering perennial reportedly keeps on blooming without having to be deadheaded, though you may still want to trim back spent flowers to maintain a tidy appearance. 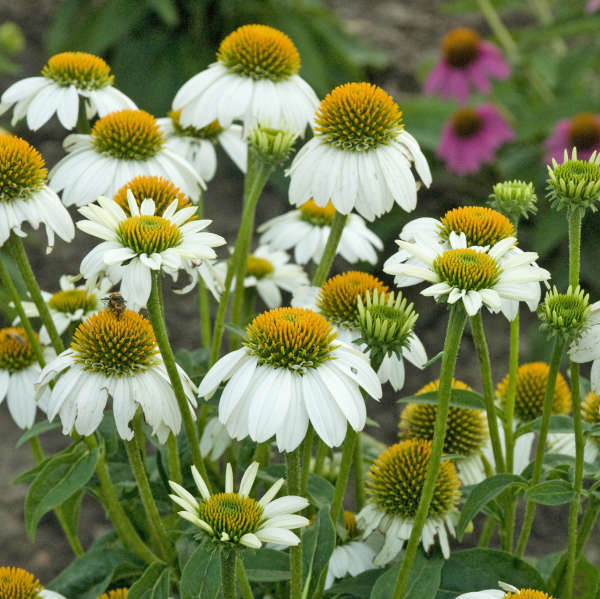 According to PanAm Seed, their PowWow Echinaceas are more floriferous, faster to flower, and genetically shorter than other seed grown varieties. 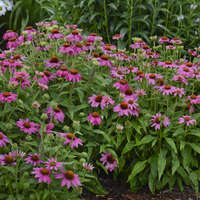 Echinacea purpurea is a wildflower native to the eastern United States and is well-adapted to survive the hot, windy conditions typical of that region. 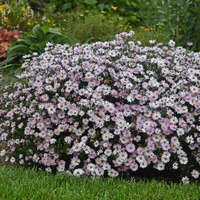 If properly cared for, they will form attractive colonies and will live for many years.